Licensed Buyer's and Seller's Agent. Member of the National Association of Realtors Member of the Saint Cloud Board of Realtors. Member of the Saint Cloud Area Chamber of Commerce. I specialize in representing my clients in the purchases and sales of single-family residences and income property within the cities of Waite Park, Saint Cloud, Rice, Sauk Rapids, Sartell, Foley, Cold Spring, Clearwater, and all of Central Minnesota. I keep current of all transactions in these areas, and I'm also very knowledgeable with the local schools. 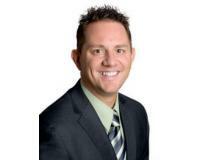 "Jason Miller was personal, professional and knowledgeable as my real estate agent. I highly recommend him to anyone looking to buy or sell a home. "